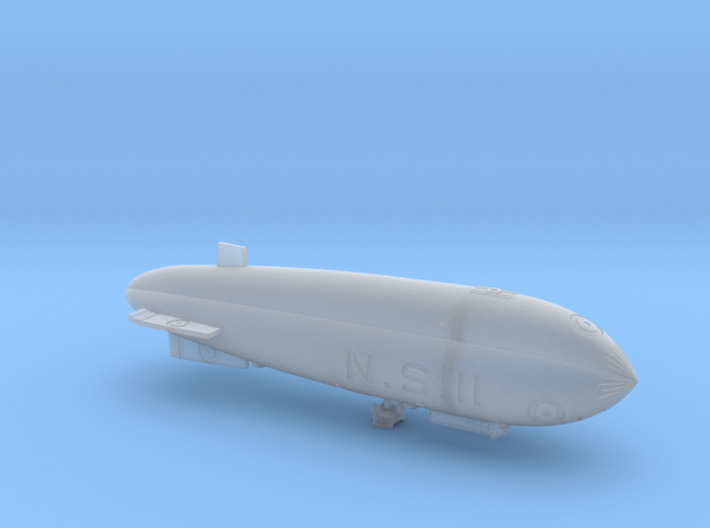 This is a four part kit of the North Sea Class number NS11 non-rigid airship and is available in either 1:1250 or 1:1200 scale and in a choice of material. Please check your choices in the top right hand corner of this page . The markings on this model are engraved into the surface so that they can be picked out relatively easily with good paint brushes and/or pens. 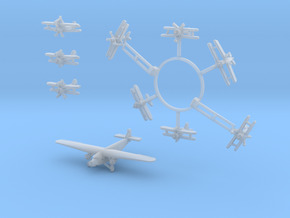 An unmarked version is available here. 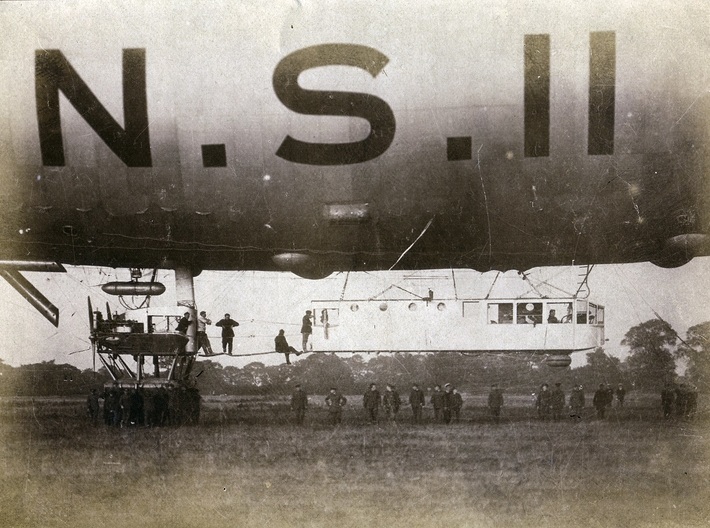 By 1916 the British Admiralty were persuaded that they had to have large rigid airships, but production was slow and the North Sea Class was introduced in 1917 as a stop-gap. 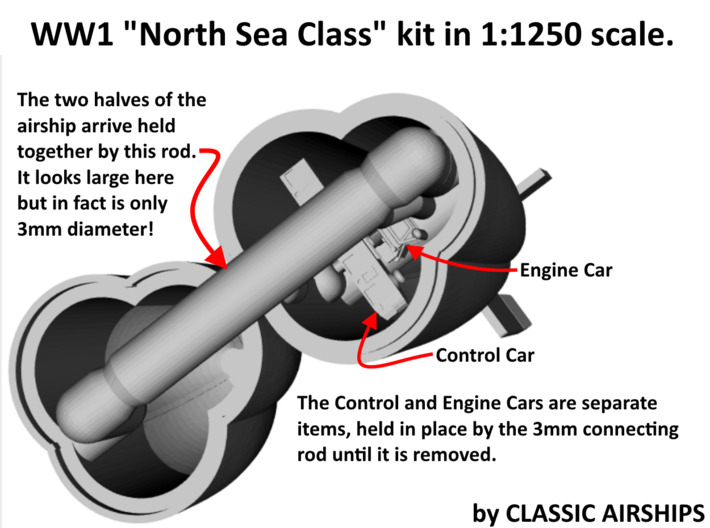 These large non-rigids were initially beset with propeller drive shaft problems. 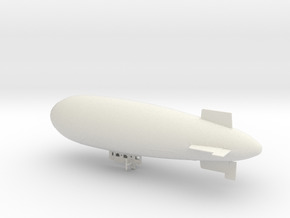 But a change of engines and development efforts by the airshipmen themselves saw them evolve into what were perhaps the finest 'ships of their type in the world at the time. 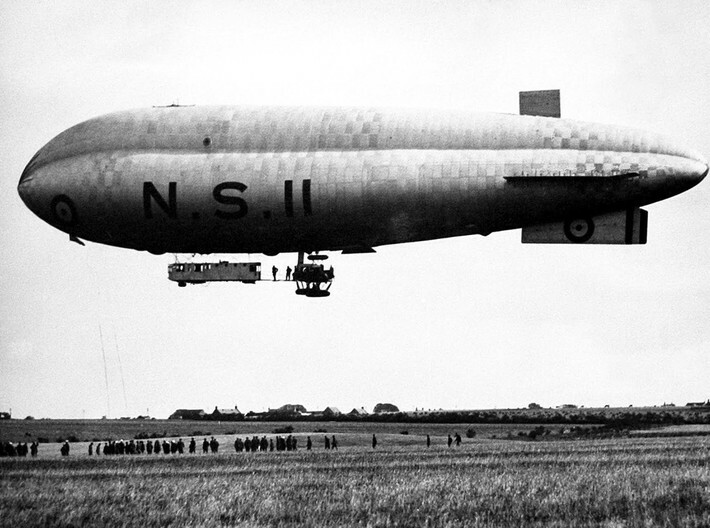 The book "Coastal Patrol: Royal Navy Airship Operations During the Great War 1914-1918" by Brian J Turpin gives a brilliant insight into the lives of the airship men and their machines. 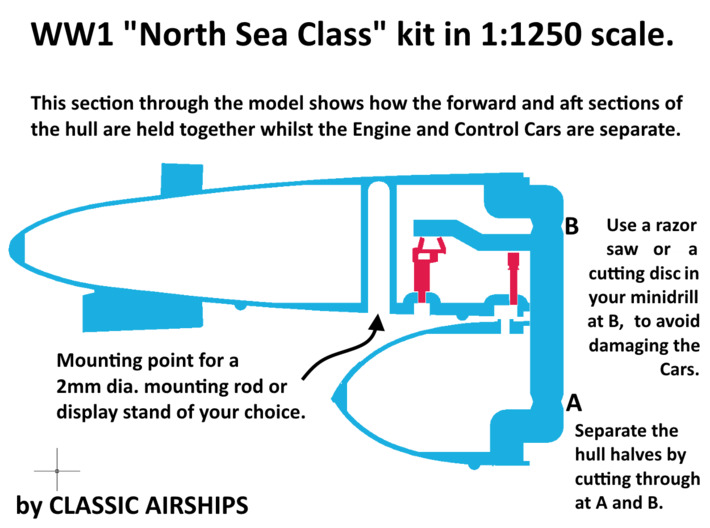 The British RNAS successfully countered the U-Boat threat from Germany and the sheer size and efficiency of their fleet of non-rigids has been understated too often by most historians and chroniclers of the war. 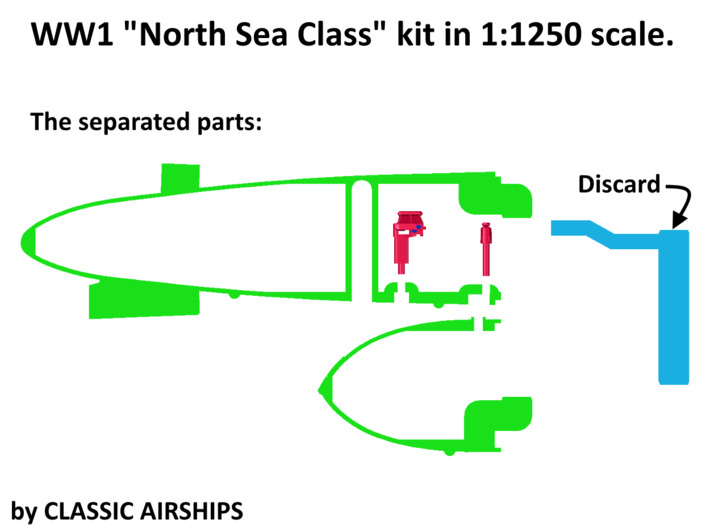 The North Sea Class carried a crew of ten in two five-man watches. They were armed with up to five machine guns including one on the gun platform on top of the hull. 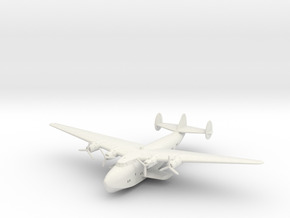 They could also carry up to six 230 lb bombs. 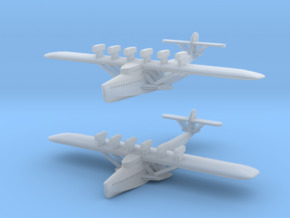 NS11 is also available in 1/700th and 1/350th scales. These are not simple rescales of a standard file. 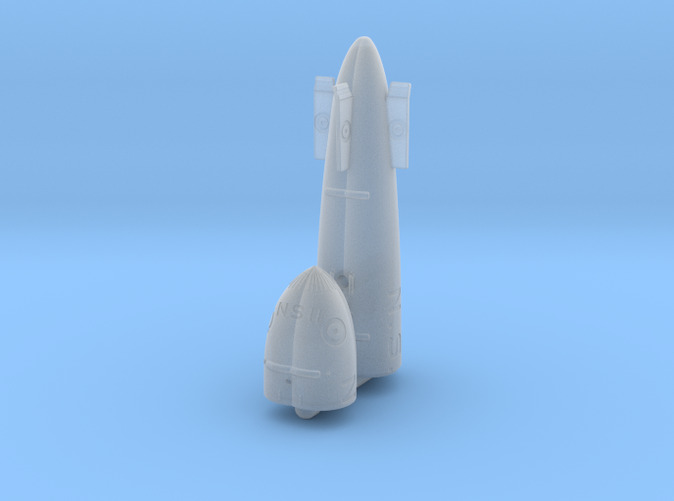 Each version of the model is a separate design including the maximum amount of detail that the printing process will allow at that size.